Ok so you might have just made it through Dry january but give it two shakes of a chick’s tail and Easter will be upon us. Easter remains the second biggest retail event after Christmas, so it’s already time to get thinking about your Easter offers and what you want to do to celebrate this upcoming holiday. The four-day holiday is not only a time for visiting the family but also a time when shopping centres are looking for the hottest trends in spring fashion, parents are looking for things to do with the children and of course there’s lots and lots of chocolate. This means that Easter is a key time for shopping centres to gear up their customer journey and create something bespoke, unique and memorable for Easter to create that special reason to get shoppers onto their malls and keep them coming back. Adding something special to your mall setting has a real impact, especially when it comes to Easter when there are lots of bunnies and chocolate for people to get excited about! 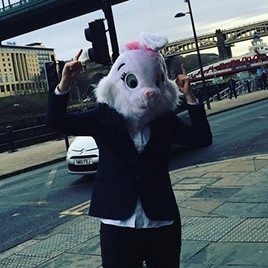 So get in touch to hear about our fantastic Easter egg hunts and our full range of experiential activations we can design and deliver for your shopping centre this Easter.